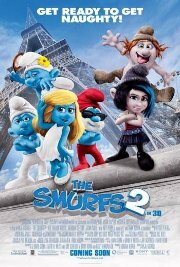 The Smurfs team up with their human friends to rescue Smurfette, who has been kidnapped by Gargamel since she knows a secret spell that can turn the evil sorcerer's newest creation, the Naughties, into real Smurfs. Paris will never be the same again. This film is releasing in both 2D and 3D, this is the 3D version.